I feel like this is the time of year for a bit of connection to some real things in life! Nothing about Christmas consumerism, busy shops, parties, politics or school reports. Here follows a few cool things I have come across in a pictorial journal from my phone. All mostly extra-curricular…. 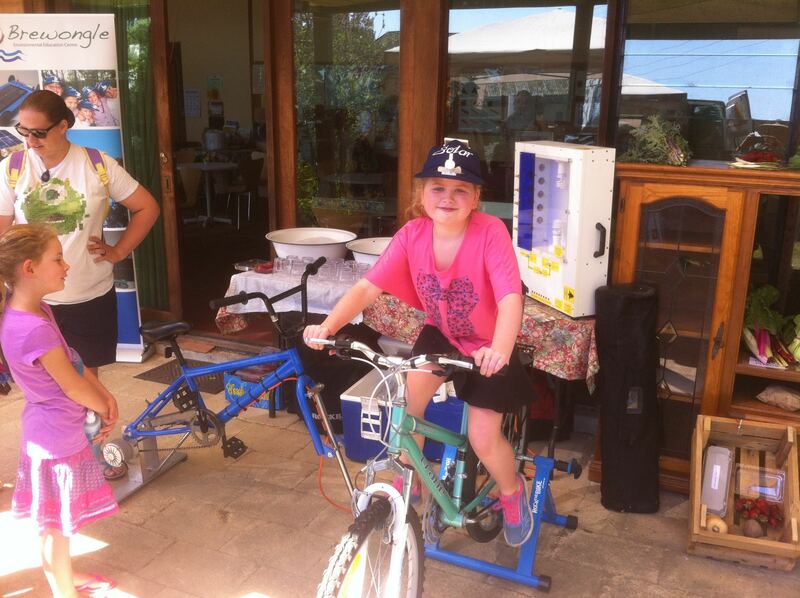 The Hawkesbury Earthcare Centre’s spring fair was as lovely event filled with sustainability, good food, music and of course our kid friendly Blender Bike! It was hot hot hot and the smoothies we produced via pedal power were enjoyed by all. Our recently rediscovered huge Port Jackson Fig excelled itself with fruit production this year and these little ripe morsels are quite tasty as far as bush tucker goes. Our local bird population feasted for weeks I think as there are none left now! 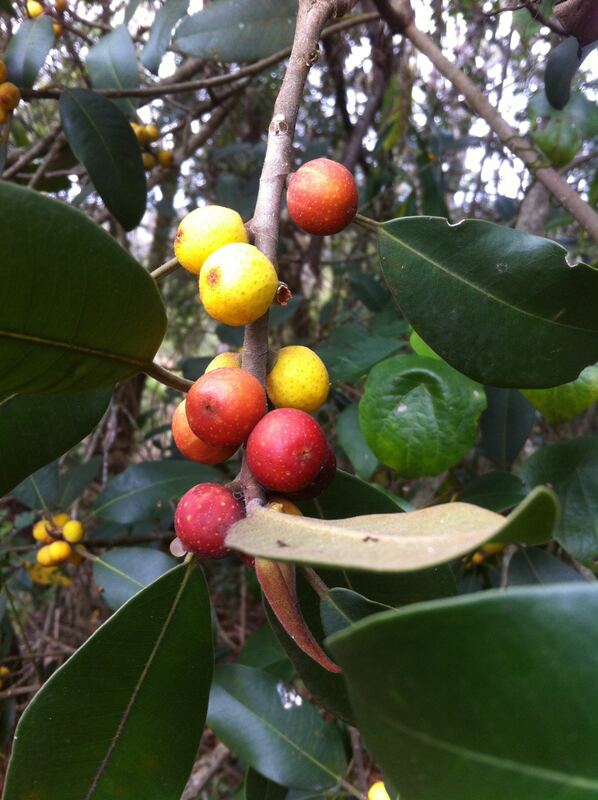 These were a favoured bush food for the Darug people. I managed a couple of early morning bike rides to Lower Portland before work – training for the Sydney to the Gong bike ride. 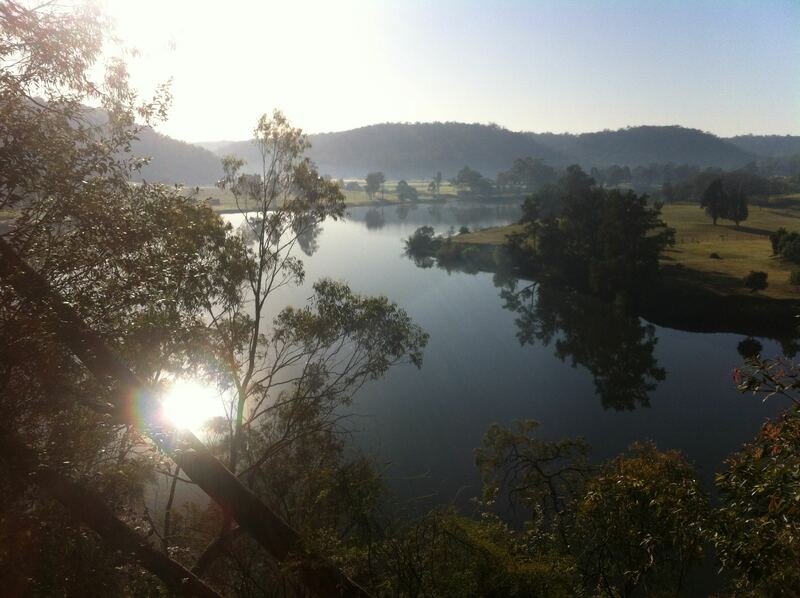 This is a shot of our beautiful river in the morning mist. 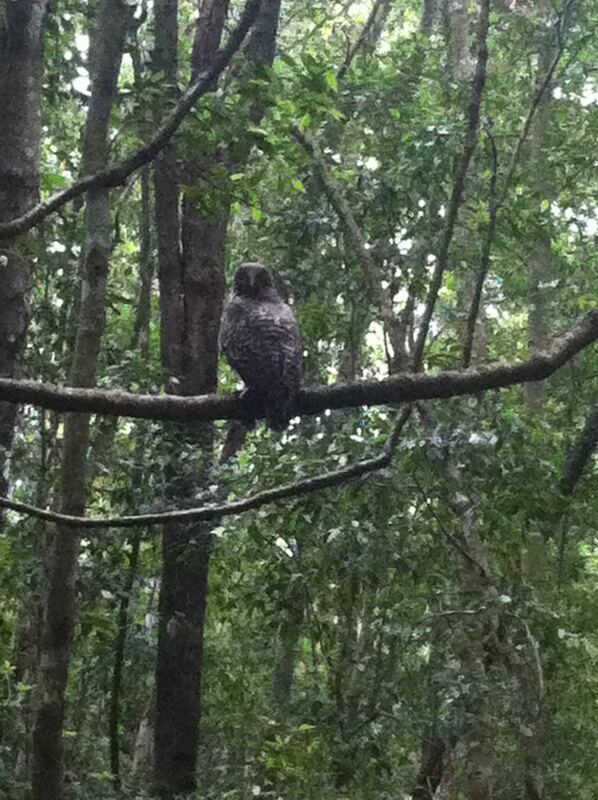 The Great Koala Count saw me wandering over the Kurrajong escarpment looking for our furry little friends. The word must have been out in the koala community that I was coming – as I saw not a single one! 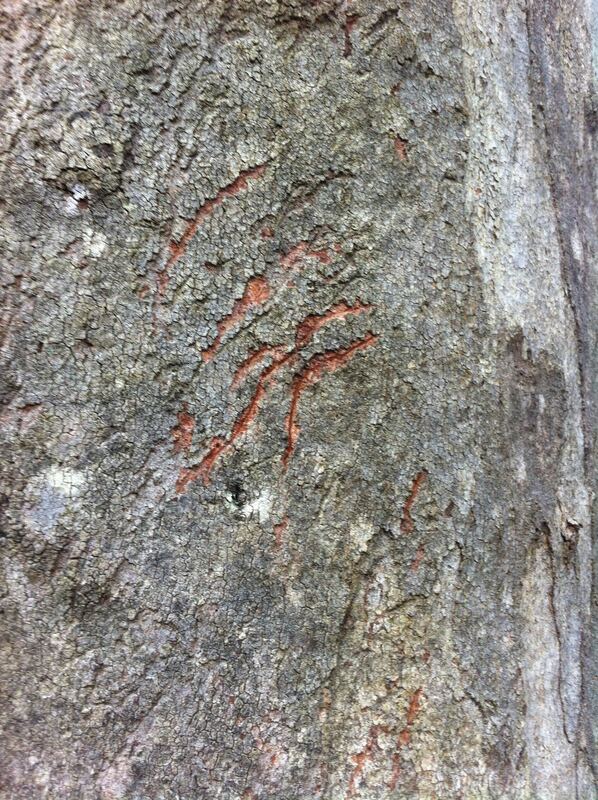 About ten different people described koala encounters they had recently had around Kurrajong….. how come I missed out? 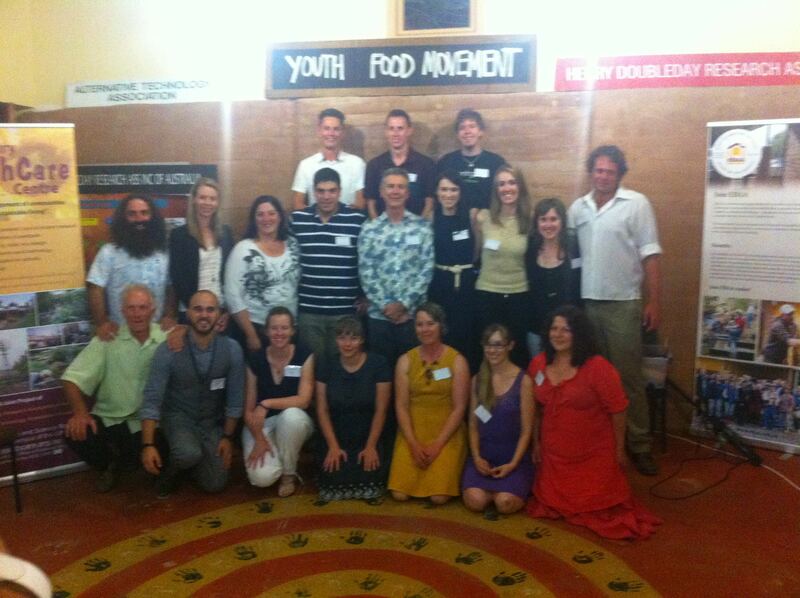 A recent weekend saw the launch of the Youth Food Movement in the Hawkesbury. 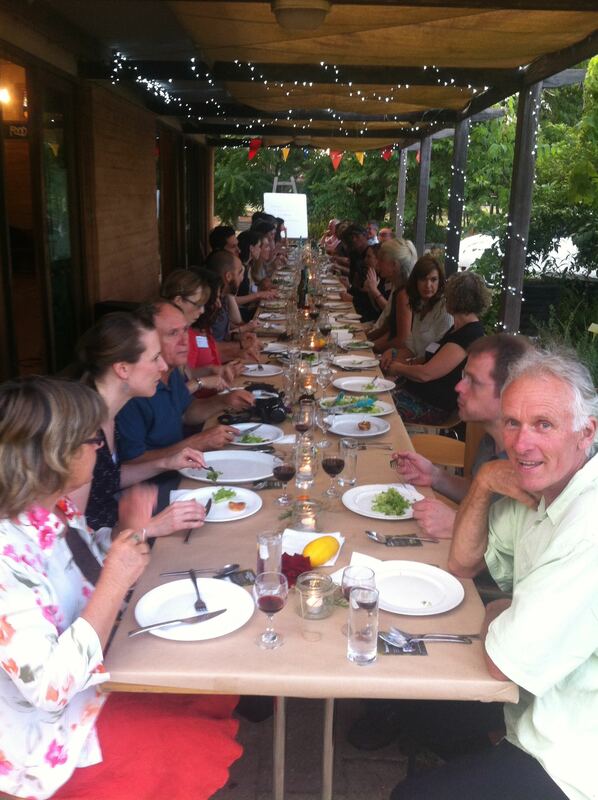 A lovely wholesome event put on by UWS Food Sustainability Students. The YFM has grown from the vision of two amazing young women to have more than 13000 followers all interested in sustainable and healthy food production and consumption. 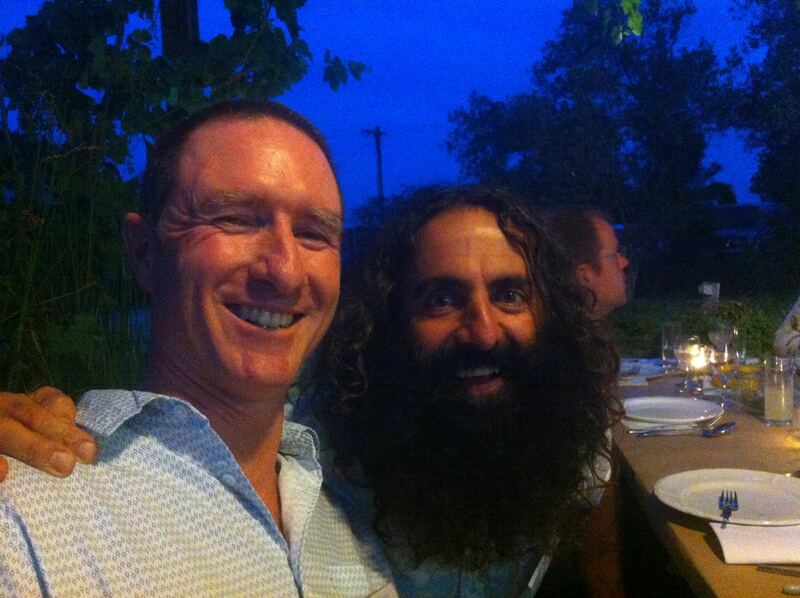 The highlight for me was sitting next to Costa (from Gardening Australia) and having a good yack about all topics. Brilliant man (and a brilliant beard!). A rejuvenating bushwalk on Sunday in the National Park behind my house gave me some hope amongst all the current environmental doom and gloom. 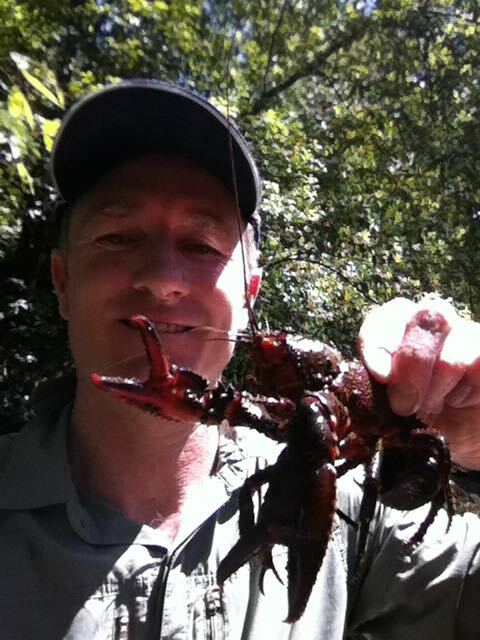 Crystal clear rainforest streams, huge turpentine trees and an old, large yabby that I rescued from a trap (apologies to whoever had ideas of yabby stew for dinner.). The poor thing was all tangled up in string and had obviously been thrashing about trying to free itself. With the help of some broken glass I cut it free and sent it on its merry way. 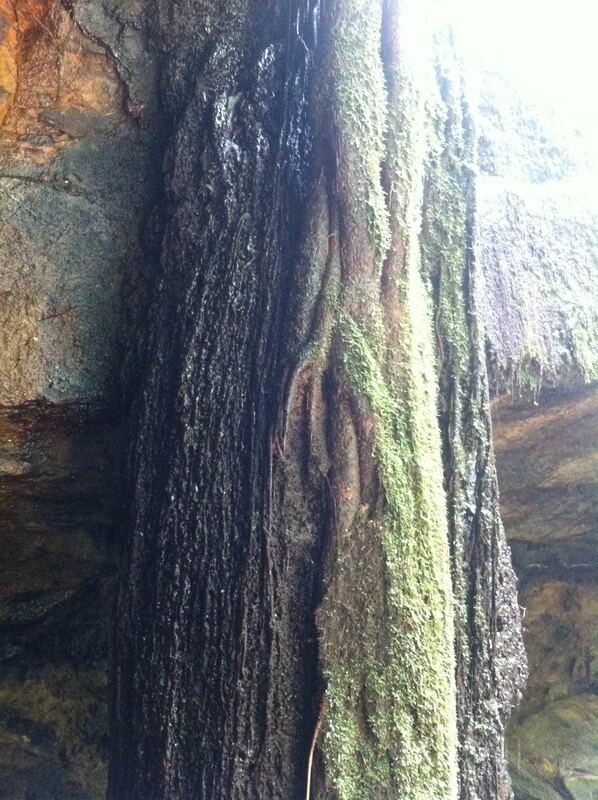 Tree roots cascaded down a small waterfall and had become the path for water – an incredible living system of moss, algae, roots and who knows what else. Brilliant. A powerful owl (Ninox strenua) gave me a disdainful look as I stumbled upon it roosting on a vine with a small mammal in its claws. What an huge, awesome creature who was not bothered by my presence at all. 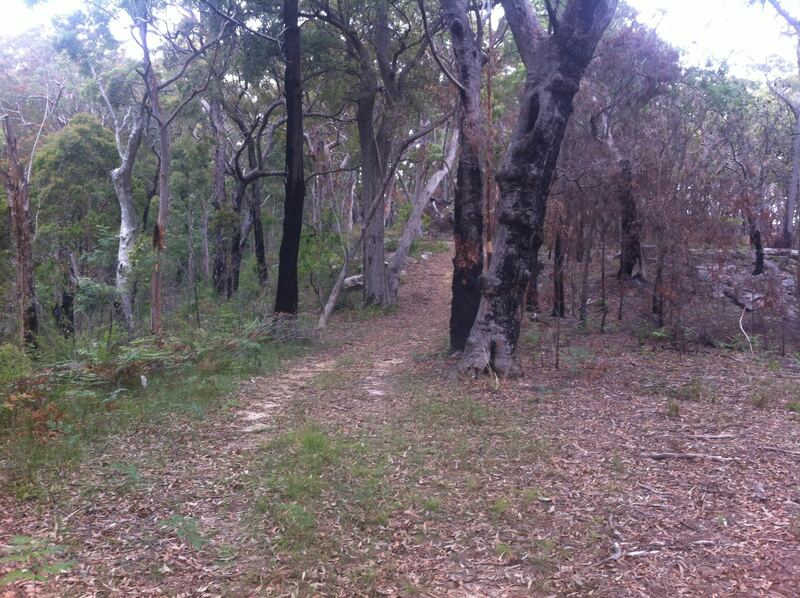 I walked back via a recent hazard reduction burn and discovered plenty of regrowth. The photo below is interesting as it shows bush recovering from two burns. The left of the track was burnt last year and to the right was burnt about two months ago. 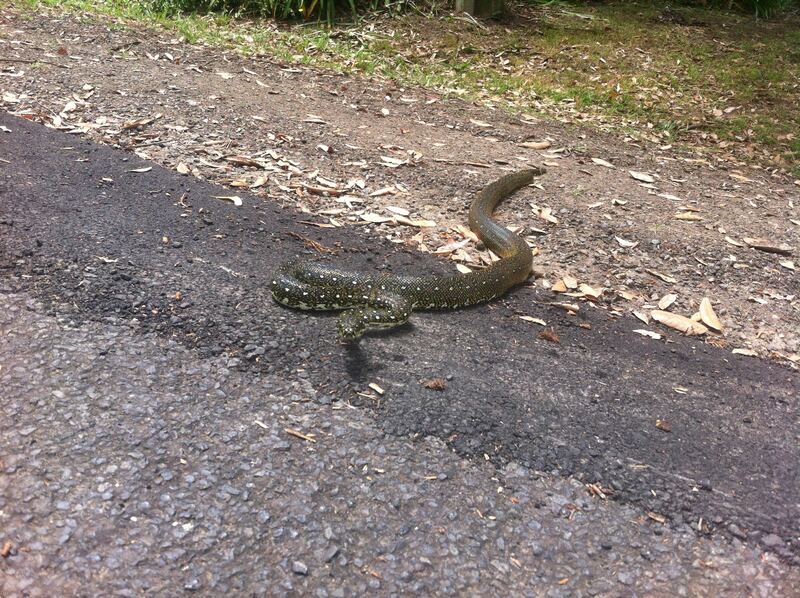 The last feature to make me jump was a delicious diamond python snake sunning itself on the road outside my house. It took a bit of noise from me to get it off the road and out of the paths of cars. It did nonchalantly slither off eventually. Thanks Mark, The owl was a memorable experience. See you at the conference I hope. Steve. I’m sooo glad you saved that yabbie. Good for you! Thanks Ruth – I try to look after the little guy…. Have a good holiday and thanks for reading the blog. I have really enjoyed reading your blog this year. Thanks again for all the wonderful opportunities you have given students at Mt Druitt Tutorial Centre this year. Have a wonderful Xmas with your family and best wishes to you all for 2015. Thanks Jennie! I look forward to continuing the partnership next year. Well done to you, Mel, Kirsty and all the staff for the great work you do with those kids. Have a great break. Steve.